Sunset Spins Casino will then reward you with a bonus (Welcome Bonus is for new players only). The terms and conditions of the bonuses vary between different casinos and might also change over time and between different countries, so it is important to compare the different offers and read the T&C for Sunset Spins Casino before signing up. The Scorching New Online Casino! 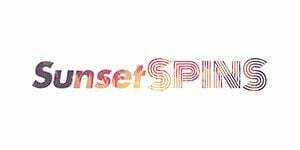 This is how Sunset Spins launched by Nektan in 2017 is presented to visitors and in this review we will check out if this description holds water. The gaming establishment features palm trees in sunset that serve as a backdrop to a standard Nektan layout. If you have ever visited any of their online casinos, you are familiar with forms of entertainment they provide and Sunset Spins is no exception. Here, you can enjoy a full range of casino games, from exciting slot machines to live dealer tables. They are provided in a safe and fair environment that is guaranteed by the two trustworthy gaming bodies, the Government of Gibraltar and UK Gambling Commission. The gambling site welcomes all kinds of players who can join it and enjoy the gaming content on their desktop or mobile devices. To start their gambling adventure, customers can claim a £10 welcome bonus plus 10 free spins on Starburst on their first deposit. Once you are an existing player, you can make use of different promotions, take part in slot tournaments and become a VIP player, which will make your stay even more rewarding. To make players from all parts of the world feel comfortable, the gambling site is available in English, German, Italian, Swedish, Norwegian and Finnish. All the games the gaming venue provides are proven fair by an independent testing agency. Sunset Spins has more than 600 casino games on offer. They are all available in instant-play mode, so all you have to do to access them is to load the gambling site in your web or mobile browser. The games play in the same quality regardless of the device you use as they are provided by some of the industry leaders such as Microgaming, NetEnt and IGT. Other game suppliers include Red Tiger Gaming, ELK Studios, Lightning Box and Yggdrasil. It comes as no surprise that slot machines make up the majority of casino games at Sunset Spins. Although they don’t constitute a standalone category, they are all over the place including the sections like Player Favourites, New Games, Exclusive and Hot Games. You can browse them by title, provider or volatility. If you are looking for the most popular games like Starburst, Thunderstruck II or Fluffy Favourites, visit the Player Favourites section. New Games is home to the latest releases such as Wolf Hunters by Yggdrasil, NetEnt’s Double Stacks or SideWinder by Microgaming. In the Exclusive section, you can find Nektan proprietary slots like Best of British or Konami slot machines such as China Shores. Sunset Spins offers a standard selection of virtual table games including Blackjack from the Professional Series, Roulette, Baccarat and a few Poker variations. When it comes to Blackjack, you can choose a table according to your bankroll with ones accepting a minimum bet of £0.10 and a maximum bet of £500. All these games can be found in the Casino games section. Video Poker, scratch cards and lottery-like games are available at Sunset Spins Casino as well. Those who enjoy using strategies to beat the house while playing Video Poker variants can look up for particular titles using the search bar. Some of the games on offer are Jacks or Better and Double Double Bonus Poker. While Video Poker variants have no dedicated section, in the Instant Win category you can choose from scratch cards like Foxin Wins and Medusa by Next Gen. Lottery-like games on offer include Boss the Lotto and Spin Lotto. Those looking for the joys of gambling at land-based casinos can join one of the live dealer tables powered by Evolution Gaming. Whether you choose a Blackjack, Roulette, Baccarat or Poker table, you can rest assured that a friendly dealer will welcome you and make you feel like you play in an exclusive gaming hall in Vegas or Macau. You can also try your luck on Dream Catcher or Football Studio. The casino supports a long list of payment solutions thus enabling its customers to make transactions in a convenient and safe way. You can use any of traditional credit or debit cards, most popular wallets or modern banking methods such as Trustly or Zimpler to fund your casino account or withdraw your winnings from it. Sunset Spins also supports Boku, a mobile payment method allowing players to deposit between £15 and £30 per day. This may not be the most convenient method as a 15% fee is charged per transaction. Cashouts are completed within 24 hours via e-wallets or up to 7 days if you opt for credit cards or bank transfer. Friendly and well-trained customer support representatives are ready to assist you in case you have been experiencing any kind of problem. 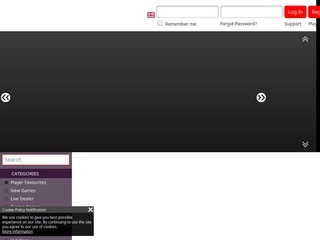 You can get in touch with them via email using the address [email protected] or via telephone and live chat. Keep in mind that you can contact them via the latter two channels between 08:00-00:00 GMT/BST every day while your inquiries sent via email will be replied within 24 hours. A comprehensive FAQ section is also provided, so visit it before you contact support agents.